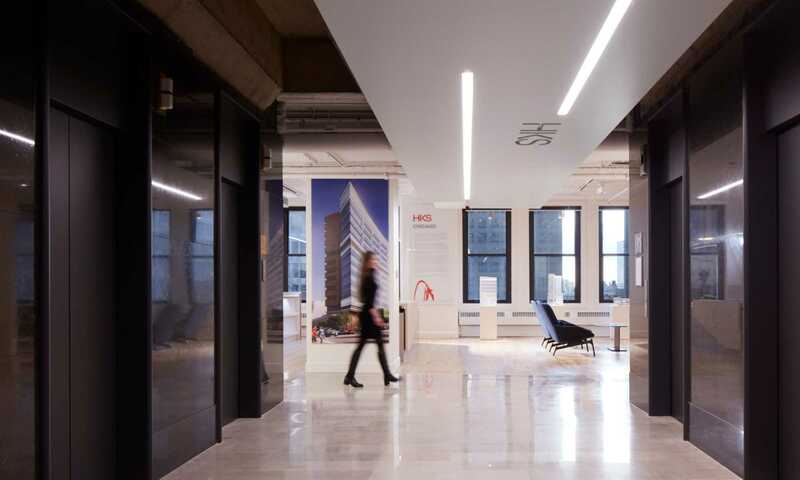 To design an office that is an embodiment of HKS design values: a physical manifestation of our belief in the power of design to create places that foster well-being, spark creativity and conserve the earth’s limited resources. HKS Chicago is located within The National, an historic building designed by renowned Chicago architect Daniel Burnham and built in 1907. 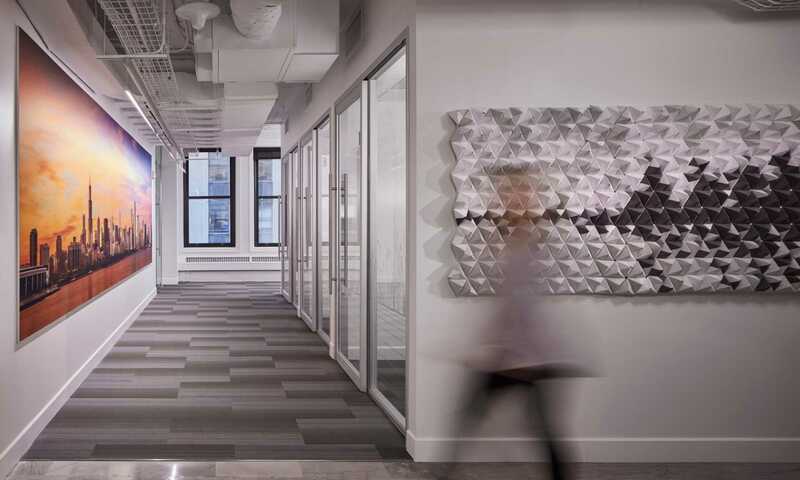 Its location in the heart of Chicago’s Loop served as inspiration for the design of the office. In crafting the interior layout, designers were inspired by the design of the city itself. The combination reception and large conference room is known as The Plaza, welcoming guests into our office with a place to mingle, meet or unwind. The studio itself supports employee well-being by offering designers a choice of where they would like to work. Seating is unassigned and private break-out areas and acoustically private meeting rooms are all within sight. A large multipurpose room is known as “The Park,” because it is where designers come to play, literally and figuratively, at a Ping-Pong table, café counter, maker space and materials library. To promote health and well-being, designers employed biophilic design strategies. Graphics throughout the space harken to outdoor Midwestern landscapes, from dawn over Lake Michigan to midday over an Illinois wheat field. References to nature are shown to calm people in interior environments. All employees have sit/stand desks, fresh water is easily available from water-filling stations adjacent to desk areas, and an energy efficient displacement ventilation system maintains thermal comfort, reduces energy use, and provides higher quality air to breathe. Live plants, including edible herbs, dot the office landscape. 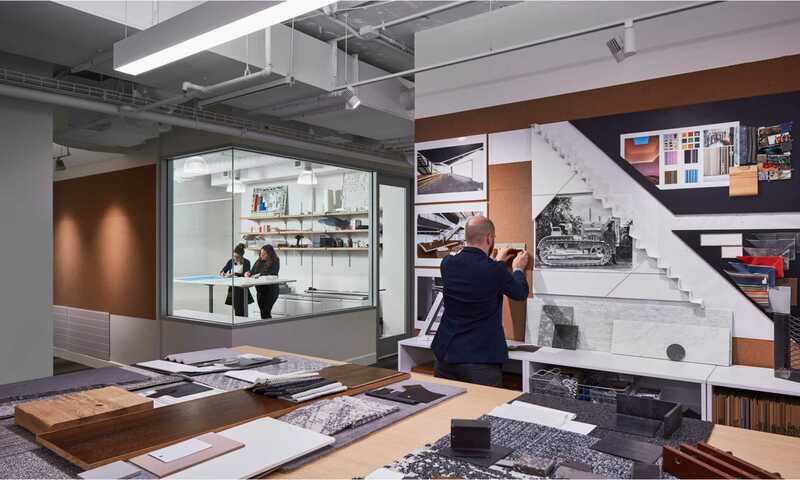 Importantly, the HKS Chicago office also functions as a living lab where we constantly test, evaluate and evolve our environment. To calibrate our office, we track environmental conditions with sensors, survey employees to assess their health and well-being, monitor energy use with a dashboard, and assess how we use our space with behavior mapping. Our living lab addresses the dynamic, continually changing aspects of design by existing as a space that evolves and adapts. It reflects our solution-seeking work culture that evaluates research and firsthand experience with an emphasis on health and well-being. 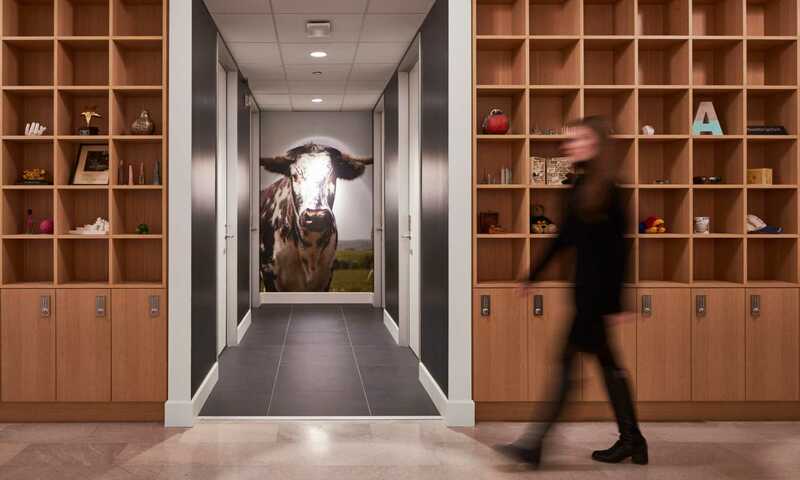 The design of our office has realized a 60 percent reduction in energy cost per square foot to operate, improved the quality of air and water our team consumes, led to greater employee sleep satisfaction and increased employee presence in our office. Our office has also attracted more than 2,500 visitors in our first year of operation, significant for a design firm building its brand. Read more about the impact our design has in an Impact Report outlining the measurable outcomes of our energy, financial and well-being goals.